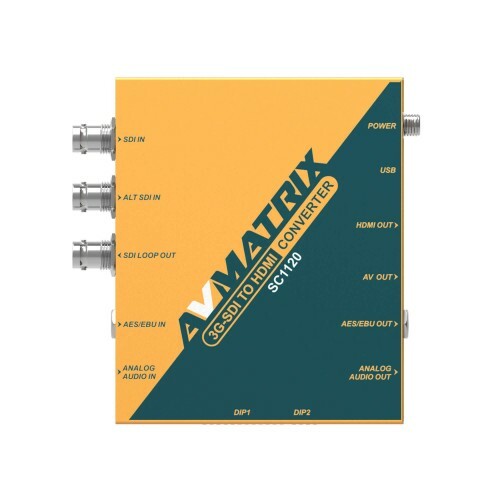 The AVMatrix SC1120 - is 3G-SDI to HDMI & AV Scaling Converter. 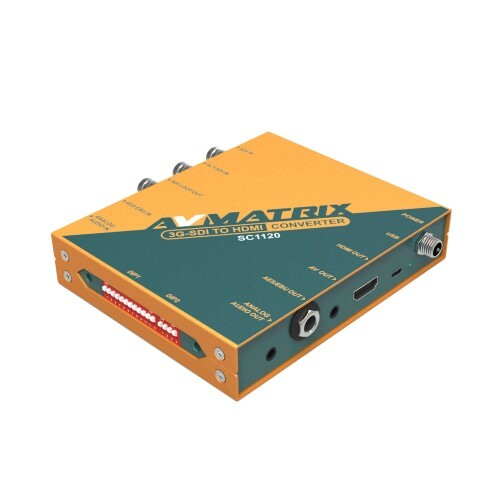 Allowing for the input of an SDI signal, it can scale and convert the signal to both HDMI and A/V modes. 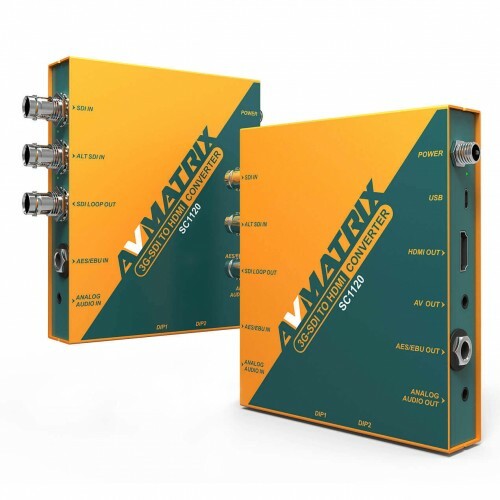 As well as the SDI to HDMI / A/V conversion, the signal can also be upscaled / downscaled and deinterlaced to prevent jitter and create a seamless video transition. 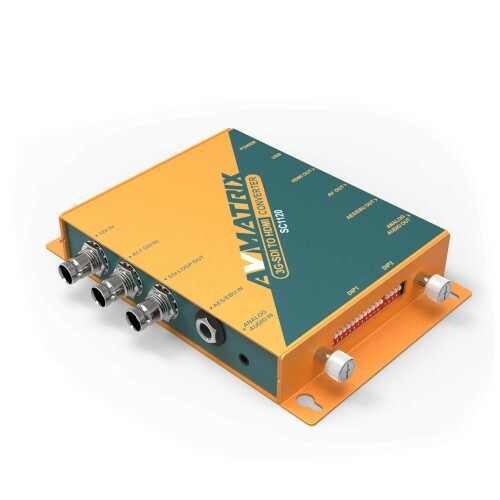 The SC1120 can also embed external audio into the HDMI output, and likewise de-embed the audio from an SDI input. 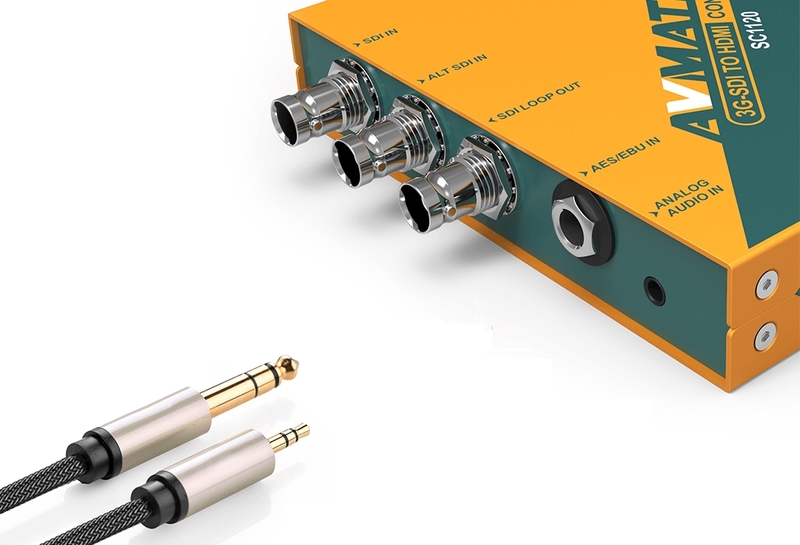 No need to use custom cabling either - the SC1120 will use standard 6.3mm (1/4") or 3.5mm (1/8") jack plugs.